*Note: Rates for cruises are NOT included in the quoted tour rates. The cruise rates are additional, based on the category and season.  3 Nights Paine National ParkMagnificent "Towers of Paine"
Day 2, Fri: Arrive Santiago Morning flight arrival in Santiago and transfer to your selected hotel. You will have the morning to rest and refresh before an afternoon city tour via private car. Enjoy visits to Santa Lucia Hill and San Cristobal Hill before stopping at Bellavista, Santiago's Bohemian district, replete with art galleries, restaurants and theaters. 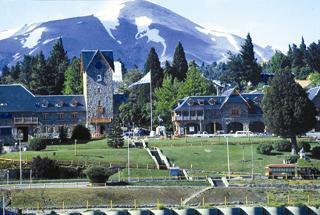 Note: Click here for packages to extend your stay at Ushuaia on Tierra del Fuego. Note: Rates for cruises are NOT included in the quoted tour rates. The cruise rates are additional, based on the category and season (see pages 5 & 7 of the respective PDF for 2014-2015 & 2015-2016 cruise rates). 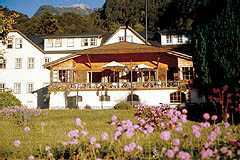 Day 2, Wed: Arrive Santiago Morning flight arrival in Santiago and transfer to your selected hotel. You will have the morning to rest and refresh before an afternoon city tour via private car. Enjoy visits to Santa Lucia Hill and San Cristobal Hill before stopping at Bellavista, Santiago's Bohemian district, replete with art galleries, restaurants and theaters. Note: The ships follow the same itinerary but on different days of the week. 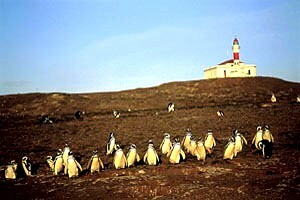 Day 12, Sat or Mon: Paine Park to Punta Arenas/Embark Australis Cruise. Rates Include: All airfares within South America are included in the rates & are subject to change without notice. Airfares from/to North America are not included. Call 800-326-5025 for airfares from major US cities. 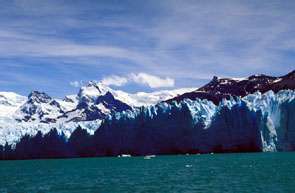 NOTE: Cruises on board the M/V Stella Australis or M/V Via Australis from Ushuaia to Punta Arenas or v/v are NOT INCLUDED in the quoted tour rates above. The cruise rates are additional, based on the category & season. See Cruise Rates and Ship Specifications at the bottom of this page. Click here for M/V Stella Australis Deck Plans or M/V Via Australis Deck Plans. 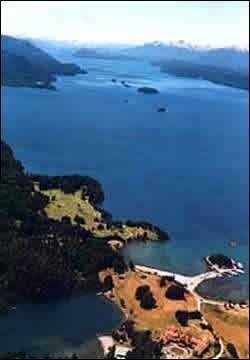 NOTE: Rates do not include the stay in Towers of Paine National Park. 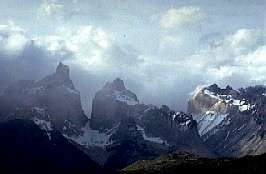 See Patagonia: Towers of Paine for hotel selections, details and rates on the all-inclusive properties in Paine National Park. Itinerary #1: The airfares Santiago to Puerto Montt, Bariloche to Buenos Aires to El Calafate to Ushuaia, and Punta Arenas to Santiago are NOT included in the rates. Rates may vary from $1150 to $1500 per person, depending on availability of space. Itinerary #2: The airfares Buenos Aires to Bariloche, Puerto Montt to Punta Arenas, Ushuaia to El Calafate to Buenos Aires are NOT included in the rates. Rates may vary from $975 to $1140 per person, depending on availability of space. Any airfares quoted are subject to change without notice, and cannot be guaranteed unless tickets have been issued. Airfares from/to North America are NOT included. Paine National Park NOTE: Rates do not include the stay in Towers of Paine National Park. 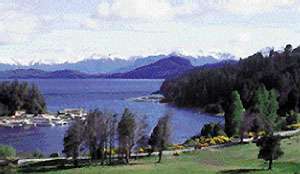 See Patagonia: Towers of Paine for hotel selections, details and rates on the all-inclusive properties in Paine National Park. Adventure cruise specialist Cruceros Australis newest ship is the 210-passenger M/V Stella Australis, launched in December 2010. The M/V Stella Australis has one hundred 177-square-foot cabins, all featuring picture windows, independent climate controls, bathrooms and satellite phones. The ship's three lounges — the Sky Lounge, the Darwin Lounge and the Yamana Lounge — are all equipped with audio-visual equipment for educational presentations throughout the voyage. There is also a reception area, a dining room and an exercise room. 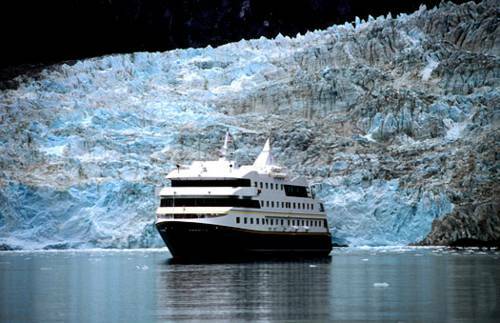 The five-deck M/V Stella Australis was purposely built for cruises to Patagonia and Tierra del Fuego. An observation lounge overlooks the bow, has a bar, small library and video and audio equipment for lectures, with a second lounge higher up on the ship. The M/V Stella Australis also features a game room with tables for cards and a collection of board games, a small shop and a first-aid room. There is no better ship to cruise Tierra del Fuego and Cape Horn in comfort, safety and style than the M/V Stella Australis. 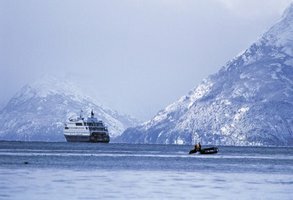 T he M/V Via Australis has been specifically constructed and equipped with the latest navigation and safety technology for expedition cruising off the southern tip of South America. The ship is 233 feet long and 42 feet wide, accommodating 132 passengers in 64 spacious cabins. All of the attractively decorated cabins are 15 sq. meters (approx. 161.5 sq. feet) with picture windows, private bathrooms and either two lower beds or one double bed, heating, closet and safe-deposit box. The M/V Via Australis features a spacious open top deck for admiring the spectacular southern scenery, and a gift shop, game room, infirmary and small library. With a crew of 40 plus lecturers and guides, passengers enjoy maximum attention, excellent cuisine and fine Chilean wines. 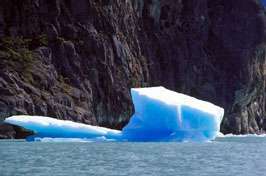 Note: Cruises Ushuaia/Punta Arenas or v/v are NOT included in the quoted tour rates. The cruise rates are additional, based on the category and season. Clothing: We want your stay on our cruise ships to be comfortable. We recommend sports clothing for both women and men. 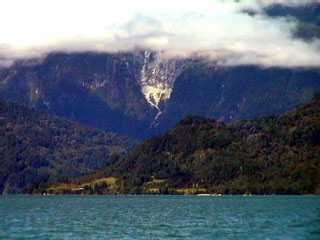 Summer nights and sometimes during the day the Patagonian climate is cold. 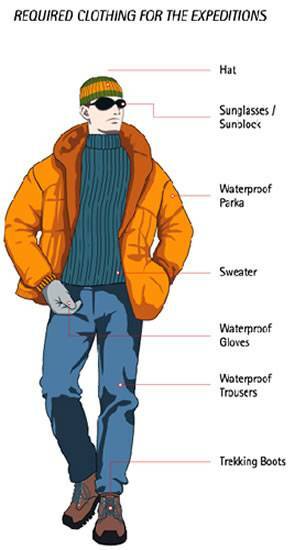 We recommend sweaters, jackets, pants and rain garments during the excursions. For exploring and walking, gloves and a pair of firm shoes or boots are suitable. Electricity Cabins are equipped with 220 volt plugs. Bathrooms have plugs for both 220 volts and 110 volts. Cabins are equipped with 220 volt plugs. Bathrooms have plugs for both 220 volts and 110 volts. Lifeboats 2 SOLAS lifeboats, 14 life rafts for 25 passengers each and 2 life rafts for 12 passengers each. Exact details not available yet, but similar to Via Australis. According to ISM (International Safety Management Code), imposed by IMO (International Maritime Organization), the ships have a SMC (Safety Management Certificate), which guarantees the operation under international safety standards as well as the protection of the environment. The ships also have complete navigation systems (echo sounder, radar, GPS and the modern communication system integrating it to the Global Maritime Distress and Safety System, GMDSS), emergency generator, fire stations, smoke detectors in every cabin, corridor and lounge and a sprinkler fire suppression system installed in all areas of the ship. The machine room is also equipped with a CO2 fire extinguisher bank for increased fire prevention. 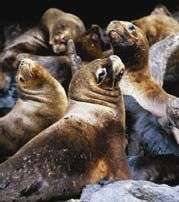 Protection of the Environment The protection and preservation of nature is a permanent preoccupation of Cruceros Australis. For such purpose, we use specialized processes to prevent damaging the beautiful spots of the region, such as the separation of oil waste and other contaminating fluids, which are later deposited at port; compacting and deposit of garbage at port, and a sewage and solid waste treatment plant.